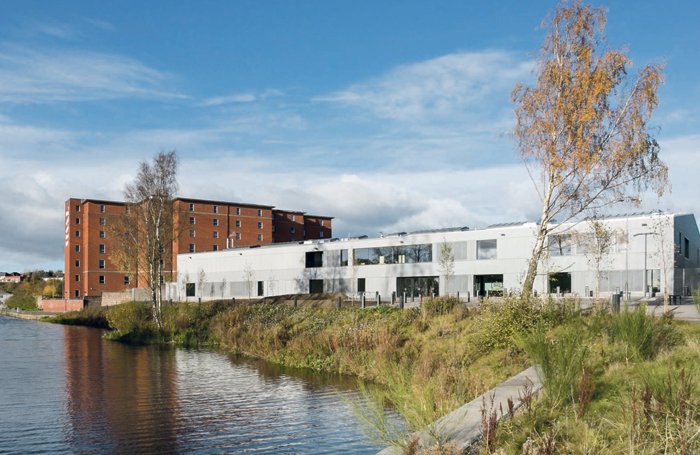 A decade after it was formed, the National Theatre of Scotland has got itself some walls, in the form of Rockvilla, a swish, newly refurbished building on the edge of an industrial canal in north Glasgow. There is nothing particularly outstanding about these walls, approached along the old towpath. No fly-tower rises above the squat aspect of the former cash-and-carry warehouse, disused since 2002. Nor, once inside, is there a ticket booth or any of the public-facing accoutrements of a working theatre. Actors come and go by the front door, with only theatre sets consigned to the rear entrance. But this is a significant event in Scottish theatre. It is a new engine room for creation – a place where theatre is made but not staged. 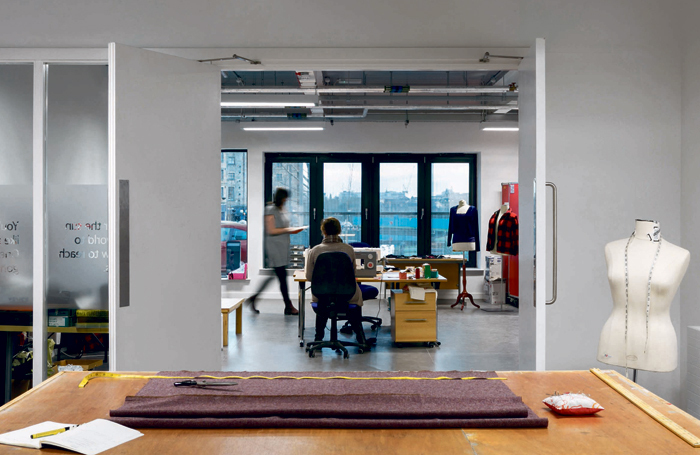 The complex brings together rehearsal studios, extensive costume construction facilities, technical support and administration offices for the NTS company, as well as being a place for its collaborators to come. “We have brought three sites together, but what we have done is brought the company together,” says Alyson Hagan, director of finance and administration. In March 2015, when the NTS showed the building off to the press for the first time, it was fit only for pigeons. A dank smelly blue box in an industrial regeneration area of the kind that you wipe your feet on the way out of. Visiting it in December 2016, a month after the company got the keys to the building, windows have been added along the south-facing aspect and a first floor installed above about half the building’s 2,700 sq metre footprint. Extra load-bearing beams have been installed above the areas that still rise from floor to roof. These are now the technical workshop and rehearsal spaces, the eight-metre height and beams allowing pieces of set, backdrops and lighting to be flown. Upstairs, ranged around a large, open-plan area for administration, there are meeting rooms, quieter rooms for writing or concentrated effort, AV and lighting suites, and a large production office for visiting and collaborating companies. Below that are costume department’s suite of rooms, a community rehearsal space and kitchen area. At the building’s centre, an atrium area has a few sofas dotted around, waiting to become a central meeting point. Everywhere there are glass panels in the walls, creating the feeling of openness about the place. The signage on the panels, necessary for reasons of health and safety, is made a feature, with added quotes from the company’s productions. Spending the best part of a day in the building, it seems there is little that is accidental about it. The floor of the admin area is recycled school gym flooring – laid with random lines of basketball and netball courts still in place, helping reduce the impression of a corporate environment. Weeks before its official opening, the building is a hive of activity. 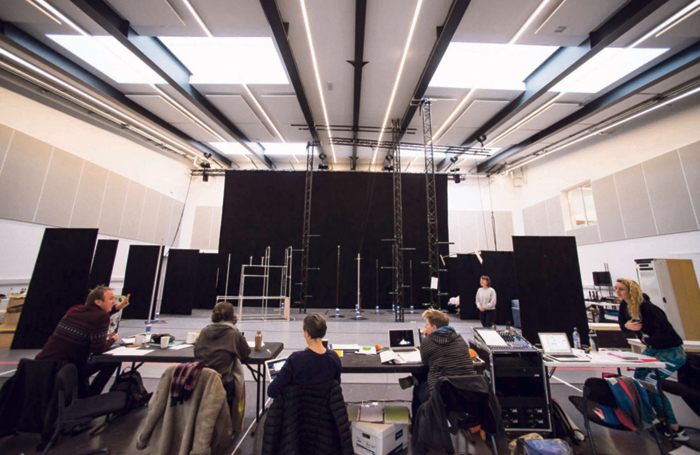 The main rehearsal room is being set up for rehearsals of Let the Right One In – which is touring to Texas from January to March – not just marked out on the floor, but properly set. At 21 metres by 19 metres, it is known as “the Big Room” and is just that: one of the largest rehearsal rooms in Scotland. The set itself is already in transit, while the cast is warming up in the smaller community room. Work on the costumes is under way on one side of the main workroom of the costume department – across the room, the costumes for The Strange Undoing of Prudencia Hart are being prepared for fitting. The Back Room, as the second rehearsal room is known, is strewn with tables and chairs, the layout of the pub in New York where Prudencia Hart is currently receiving five-star reviews. Here, the replacement cast for the show’s extended run are put through their paces by director Wils Wilson. The third rehearsal room, the Play Room, is currently empty. You can see where the Black Light’s bespoke electrical fittings are used to run cables around the outside of the room. It’s a far cry from the days of finding rehearsal space around the city, with all the complications of getting set in and out. Perhaps the biggest beneficiary in the organisation is head of wardrobe Aileen Sherry. Showing me around her new space, her emotions are close to the surface as she describes her previous existence: one tiny room, purloining corridor space to hang costumes, using a jelly pan for dying, a toilet for a changing room and having to run costumes by taxi across town from store to rehearsal studio to workshop and back. Now, the two casts in the building can pop in for a fitting in a dedicated dressing room. The 350 sq metre wardrobe suite has the luxuries of a partitioned room with one side for distressing and the other for cleaning, not to mention a store room with about 400 boxes of costumes ready to be hung up. These include a minor mountain of boxes from the company’s first major hit, Black Watch. Walking me around the building, head of lighting Euan McLaren is equally upbeat about its benefits. While the NTS does not build its own sets, there is room at the back yard for three artics to load and offload to an outside platform with flat access to the towering workshop space – no need to hire somewhere to paint a backcloth – and technical store. Unlike a building-based company, which might be working on four or five shows at different stages to be performed sequentially, the NTS can work on the same number of shows for production in a short timespan. Currently, two are in preparation, but once Rockvilla officially opens on January 23, the pace will step up. The NTS champions collaboration, and Caroline Newall, director of artistic development, is beginning to address the new headache of how best to use all the available space. “We have space that we can offer the artists we are supporting and projects we are developing,” she says, in a break between meetings. “But we are also trying to find ways to open up the spaces to a wider pool of artists. In January to March, we are going to pilot putting out an open call for access to some of the space and see how that goes. Heading back along the canal to town after leaving, I look back to see the setting sun reflected in Rockvilla’s windows. Actually, there is something quite outstanding about the NTS’ new home. But it is on the inside: the new engine room of Scotland’s theatre community is already glowing with activity. What does Rockvilla mean? The building was previously known as the Blue Shed, but the first documented use of the name Rockvilla in the area is on an 1860 Ordnance Survey map. The name likely derives from the extensive quarrying industry that once existed in this area of Glasgow. Several local buildings and establishments have borne the name. The Rockvilla School was demolished in 1996 and Rockvilla Church, which still stands today on Saracen Street, has been renamed Possilpark Parish Church, while the wider area is referred to as Rockvilla Basin.